East Sussex County Council is facing a huge backlash to its recent campaign to parents. 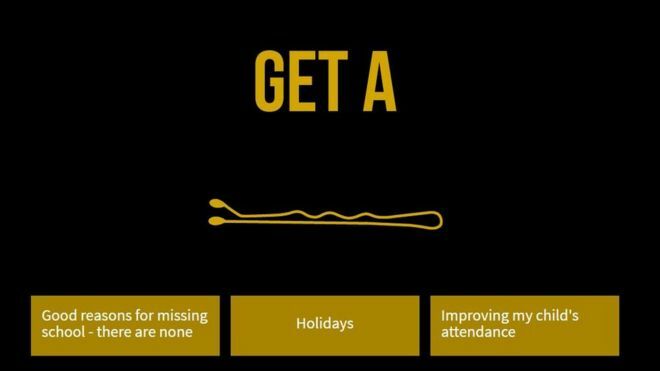 Its ‘Get a Grip’ campaign, aimed at boosting school attendance sent leaflets to parents, urging them to ‘get a grip’ because their child had missed as little as three days of school. The initiative tells parents there are ‘no good reasons’ for missing school and that children who are off sick with colds and headaches should not stay off, but go to school as ‘even one day off school has an impact on a child’s education and that of their peers, because the teacher then has to spend time helping them catch up’. The council said the campaign was necessary because even ’95 per cent attendance is not good enough’ and can impact on a child’s achievement. But angry families have taken to social media branding the ‘Get a Grip’ campaign as ‘aggressive, condescending and insulting’, with some parents even starting an online petition calling for it to be withdrawn, which has already attracted over 9,000 signatures. Whether the backlash is justified, or seen by others as an overreaction, nevertheless school attendance remains a hot topic, and huge challenge for all schools since the Government’s crackdown launched by former education secretary Michael Gove in 2013 banning families taking their children out of school for holidays. Parents taking their child out of school without authorisation face a £60 fine and court action if this is not paid. Is absence a problem in your school? Truancy Call is an effective absence management system aimed at reducing the administration and cost associated with chasing absence in schools – and it delivers results. Book a free demonstration today on 03333 13 14 15.